ResumeWriterDirect.com has a simple way of doing things. They tell you what you will get and how to get there. Their website is phenomenally user-friendly and contains all the information you’d ever need. 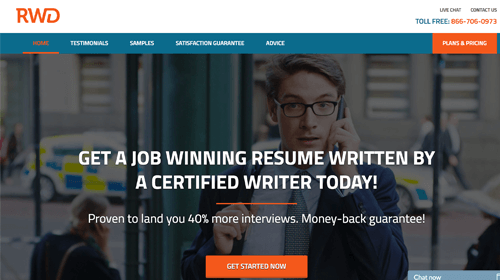 Here’s what you get from them: a certified resume writer that is an expert in the domain you choose, unlimited consultation over the phone or e-mail, a polished resume made after your taste and a three business days delivery option. If by any means you’re not satisfied with their work, you can ask for money back or a free rewrite. This is what they promise. What is the reality of that? Resumance decided to find out. A detailed audit of the company is coming up. We advise you to use the services of only those companies that have already been verified.